As Indonesian, I know a lot of Indonesian common cultures. So, if you read this writing as a foreigner who want to visit Indonesia, please read this untill end.You can get many information and facts about living in Indonesia. I'll update more if there are feedbacks from the readers, here we go. 1. Jakarta is capital of Indonesia, they speak Bahasa Indonesia with slang style, but you can use formal. In the mass media and government, Formal Bahasa Indonesia is used as first languange. 2. Another regions don't speak Bahasa Indonesia, the people speak with their native language. 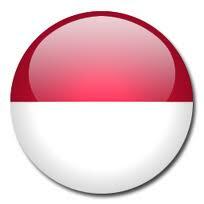 Remember, in Indonesia there are more thousand ethnicity that have different languages and dialects. But, don't worry, they can understand and speak Bahasa Indonesia. 3. Bali is one of city that not required to have Bahasa Indonesia skill if you are foreigner. Almost of the residents can speak and understand English. 4. Bahasa Indonesia in unformal speaking sometimes sounds fast and it doesn't need grammar. 5. If you want to master slang languange, its required for several months even years to have it.